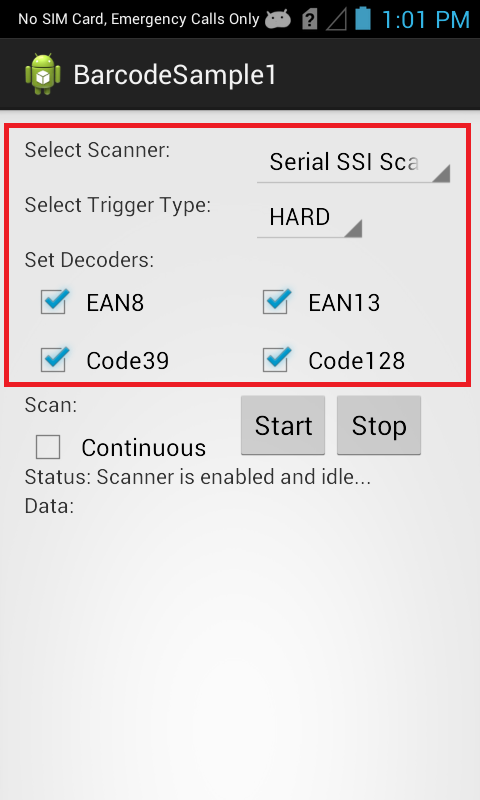 Shows how to scan multiple barcodes simultaneously based on selected scanner device, trigger type and a few decoder parameters. 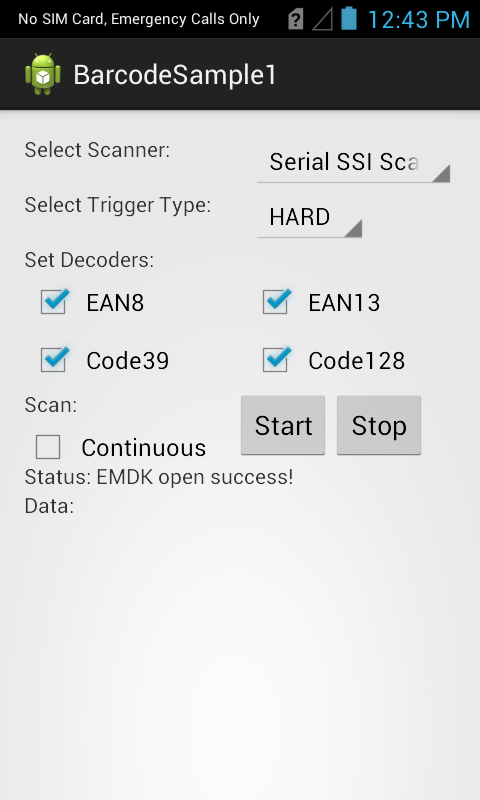 This sample demonstrates simultaneous scanning of multiple barcodes using new capabilities in the Barcode API Barcode/Scanning APIs introduced with EMDK for Android 6.8. These APIs work independently of any Data Capture profiles. This sample illustrates a single use-case for implementing multi-barcode features; it is not a comprehensive example of the many ways this feature could be used. DataWedge cannot be configured for data capture through Profile Manager when using EMDK-A 6.8 and higher. Zebra recommends using the DataWedge APIs instead. 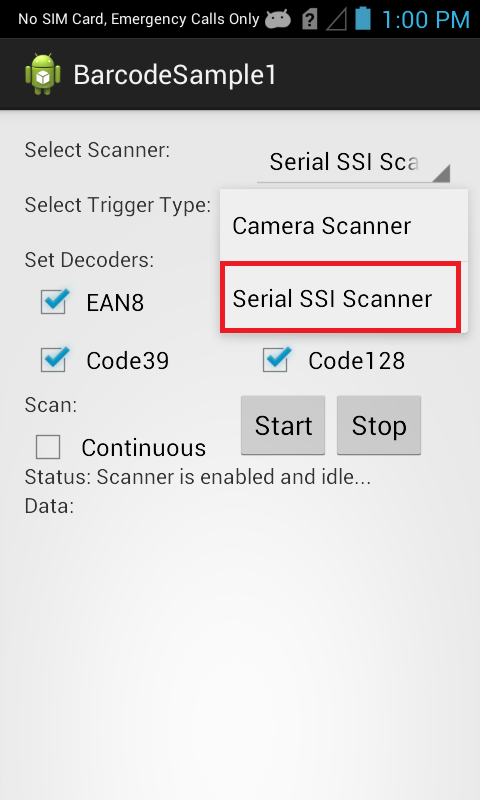 Set scanner to "Serial SSI Scanner", which is the default one". Set Trigger Type to "HARD". 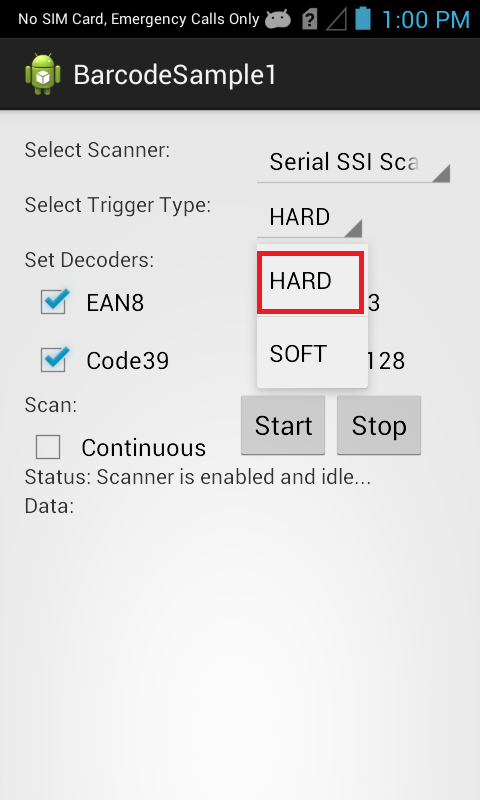 Note: Trigger Type "HARD" lets you scan the barcode using device's hard scan key whereas "SOFT" allows you to scan without using devic's hard scan key. Keep all checkboxes checked for decoder params and this is how it should look after setting all fields. Click "Start" button and the status will be updated. 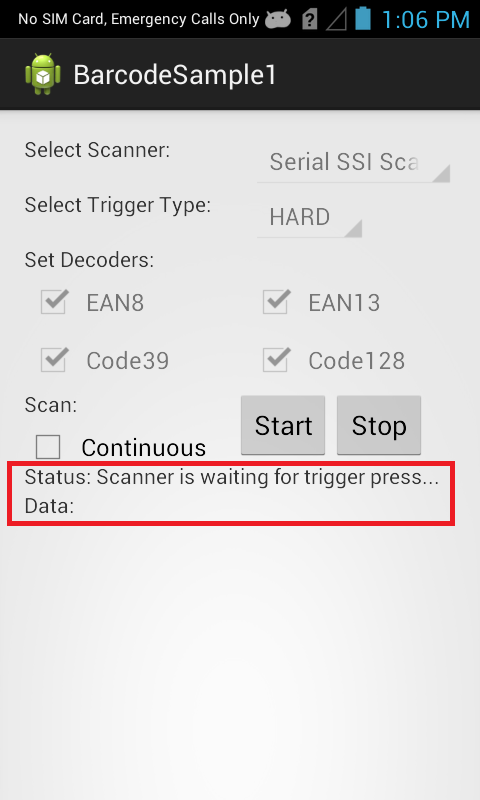 Since we selected Trigger Type as "HARD", press the hard scan key of Symbol device and scan a particular barcode. 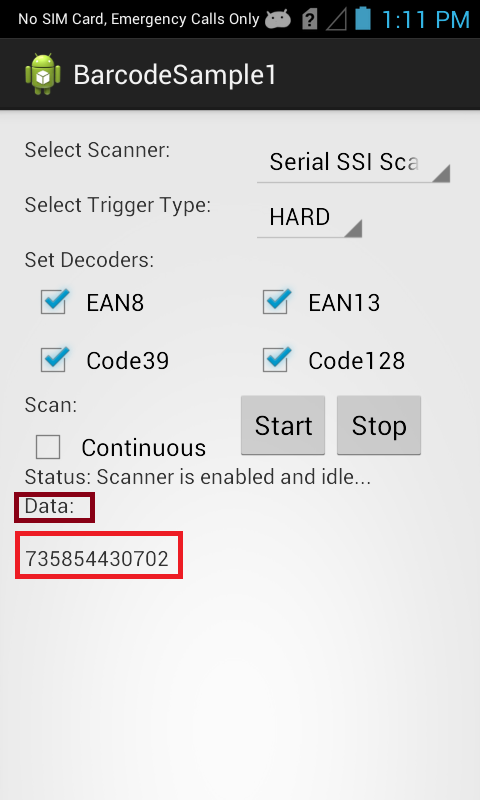 It will get the scanned barcode data in "Data" field of UI.